If you have a flaw in your smile that you catch every time you look in the mirror, you may consider veneers for an easy, transformative fix. 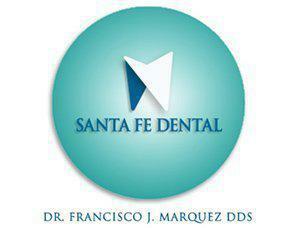 In a few short appointments, Francisco Marquez, DDS, covers up those flaws with dental veneers. 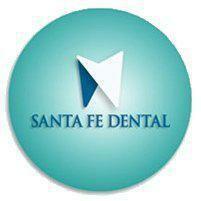 The cosmetic experts at Santa Fe Dental restore your satisfaction with the smile flashing back at you. Make an appointment over the phone or online at the Santa Fe Springs, California, practice. Over the course of three appointments, Dr. Marquez examines your teeth, prepares them for veneers, and applies the veneers. At your consultation, Dr. Marquez performs an exam and takes X-rays to determine if veneers are appropriate for your situation. At your second appointment, Dr. Marquez takes impressions and measurements of your teeth to send to the lab where your veneers are made. He removes a portion of enamel from the surface of your teeth to make room for the veneers. In a few weeks, Dr. Marquez has you come in to apply your veneers. He places the veneers on your teeth with temporary adhesive to assess their fit and color and make any adjustments necessary. Once the veneers are just right, Dr. Marquez polishes and etches the tooth’s surface to help the veneers stay in place. Then, he attaches the veneer to the tooth’s surface with light-activated dental cement and bonds it to the tooth with a special light. The primary benefit of veneers is their ability to fix imperfections and enhance the appearance of your smile. They help you regain your confidence for flashing teeth in pictures and laughing without covering your mouth. Veneers are an unintrusive way to fix minor imperfections you may think only braces could fix. They hide small gaps and crooked teeth in one quick appointment without necessitating months of metal and adjustments. Dental veneers are entirely customizable for your particular teeth, and they look realistic. Dr. Marquez colors them to match your other teeth, so they don’t look out of place. Veneers don’t stain as easily as the natural surface of your teeth either, so their color is easier to maintain. They also have a shinier surface, making your teeth look healthy and radiant. If you’re interested in learning more about veneers, schedule a consultation at Santa Fe Dental online or over the phone.